RootBone’s debut album The Long Road Home is topping the Roots Music Report Album Charts this week. The album is currently charting as the #1 album in Ontario and the #2 album in Canada. . 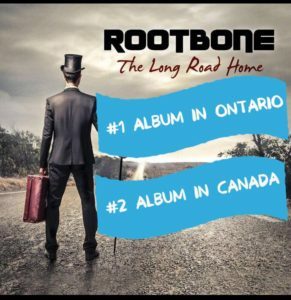 This makes it the 13th week for RootBone’s debut album to be in the Top 10 Canadian albums.